PaSsu Diary : Do You Remember Those Stories? Do you remember those stories your parents told you about talking animals and trees? Those good verse evil stories? Those happily ever after stories, before you sleep? Do you in any way believe that those nights of story telling had influence your relationship with your parents and also had shaped your outlook on life? Do you want your relationship with your children to be like your relationship with your parents? Well, things have become complicated now but there is always a turning point for everything, and I believe if we can win over our children before the world of digital entertainment invade them, perhaps we can establish that same loving relationship. Tell them those fairy tales before they sleep and let them live their innocent years innocently. Let them love their parents more than Cartoon Network, let them count on you for stories. But if you don't remember those stories your parents told you, let me introduce you to a loving daughter who grew up listening to her mother's stories and now telling those stories to her children every night- Chador Wangmo. She is a teacher and she strongly believes in telling stories and therefore written four Books for children. The books are on sale in stores in Thimphu and you can also order by leaving a comment on this blog. If these four books run well she will be inspired to write many more such books for our children. This new year I recommend you to buy these four little books and tell stories to your children. 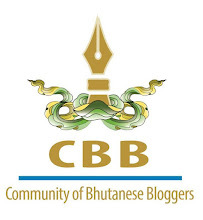 The illustrations are done by a fellow blogger and loving father Kinzang Tshering (Qinza). Note: Chador Wangmo is one of our favorites on Nopkin and also WAB. If you are on those two Bhutanese Writing sites you will be curious to know who she was, and I bet you will blindly buy those book if I disclose her pen name. Perhaps next time! They are wonderful collection of stories well supported by good illustrations. My life is bettered. And thank you PaSsu for reminding us all about the books. I am still waiting for those books.